Telkkämäki Nature Reserve is a unique heritage site located in Kaavi. 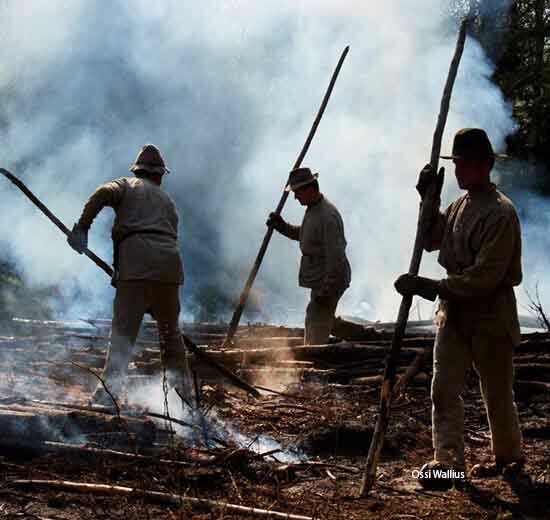 The fire-fallow agriculture is handled by traditional methods, so the old traditions are still alive in Kaavi. The path leading to the site of the fire-fallow cultivation site is dotted by ancient fences. Before the splitting of land in 1749, Telkkämäki has been a fruitful place for cultivators. Telkkämäki became an independent farm in 1900 and the fire-fallow cultivation was continued. Finnish Forestal Administration, Metsähallitus, purchased Telkkämäki in 1984. The buildings and the site have been restored as a landmark to represent the early 20th century. The main buildings dates back to the late 19th century. In addition to the main buildings, the site has a barn, a drying barn, a granary and a smoke sauna. In addition to the beautifully weathered buildings, there are farm animals that graze there. In the summer months, sheep, cats, chickens and horses go home in the pastures of Telkkämäki. Thanks to nesting and mowing, the yard areas of Telkkämäe remain beautiful as meadow and no motorized tools are needed for yard maintenance. The grazing of Telkkämäki reveals the growing and diversification of meadow life. The era of cultivation has left its mark on the landscapes of the region. Leafy and lush forests and granite ruins are the most prominent signs of agriculture. The Telkkämäki is typical of the Northern Savonian grassland, where cultivation has been common since the turn of the 19th century. The impact of fire-fallow culture is noticeable in vegetation, sometimes also in trees. In the forests there are old traces of the agriculture, such as pits for growing crops and piles of stones collected from flowering fields. Due to the agriculture, the plant and animal species in the area have flourished. Former fields, pastures and mires have been afforested or drained so they are cultivated as economic forests. 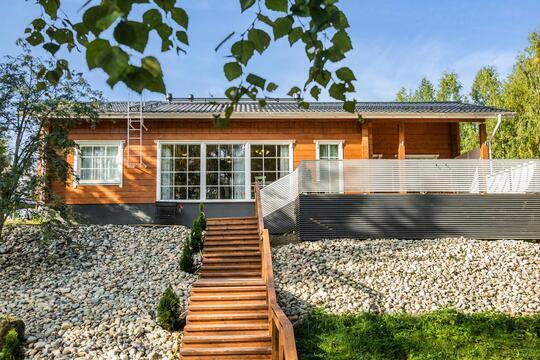 In Telkkämäki you can get acquainted with genuine Finnish fire-fallow traditions. The area is approximately 100 hectares. The Telkkämäki nature conservation area aims to cherish the traditional Savonian cultural landscape and protect its flora and fauna. Each year, some parts of the forests in the area are harvested and cultivated using traditional working methods. You can explore the nature of Telkkämäki freely. The marked routes are Laidunkierto trail (0.9 km) and Rietula trail (1.9 km). It is forbidden to hunt, fish or to make campfires in the Nature reserve. Instead, you can pick mushrooms and berries freely. Telkkämäki is a very important site for species of fauna favouring lush forests. The areas in the Nature reserve also function as research area for scientists. 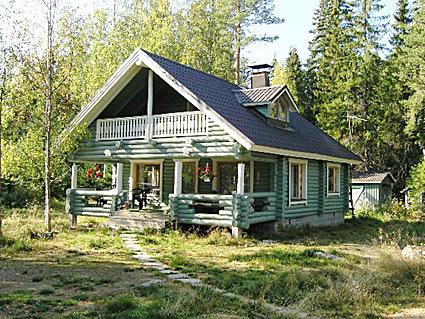 In the summertime, there are local guides in Telkkämä and there are events open to the public during the summer. The events range from introducing the fire-fallow culture to rye cutting and sowing. There are also small-scale cultural events in Telkkämä. Poetry and folk music can be heard during the summer in the site. Telkkämäki's culture reveals what kind of life has been before the industrial revolution and how vital the agriculture was for the community. Telkkämäki is located in Eastern Finland, near the northern Savo. 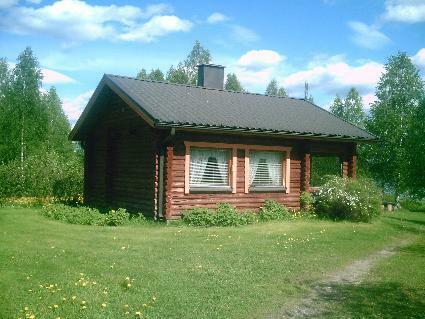 Telkkämäki, located in the municipality of Kaavi, is easily accessible from Kuopio or Joensuu. There are directions from Kaavi village to Telkkämäki. The car parking space is 200 meters away from Telkkämäki's heritage site.